We're all aware of how many bad questions and answers are posted on Stack Overflow every day. I think a large portion of these can be attributed to users who misunderstand how SO works. The reason for this is that SO isn't a forum, but (I think) many people treat it as one. New users come here with the idea that we're here to solve their problem; when in reality SO is all about providing high quality resources for future readers. I believe that many users who post questions or answers simply aren't aware of this. They write their questions in a such a way that it may be possible to solve their problem, but it's too specific or broad or unclear to be useful to other people who come here with a related problem. Similarly, people post answers with the sole intention of solving the asker's problem, not with the intention of writing a well-rounded answer that is also useful for other people with a similar problem. This is why I think we have to do a better job of telling new users what SO is all about. For a new user SO can be a pretty confusing place. Speaking from personal experience, it took me a very long time to figure out how SO works. Two years ago I didn't understand the point of closing questions; now I'm casting close votes left and right. Pointing out these differences/goals to new users in a clear fashion would improve not only their experience with SO, but ours as well. The goal of Stack Overflow is to provide high quality answers to specific programming questions, to serve as a resource for programmers who come to Stack Overflow from a search engine like google. Its aim is not to solve your problem alone, but also that of other programmers who read your question in the future. To clarify: I'm not saying that this isn't being done. Or that this dialog is how it should be done. I'm saying that it needs to be done a lot better. How it should be done is up for discussion. [Askers] write their questions in a such a way that it may be possible to solve their problem, but it's too specific or broad or unclear to be useful to other people who come here with a related problem. Similarly, people post answers with the sole intention of solving the asker's problem, not with the intention of writing a well-rounded answer that is also useful for other people with a similar problem. ...which is magnified tenfold by the fact that these forums are not maintained, not moderated, and the advice may be several versions old. So the question I pose to you would be, what would this truly solve? I get that users don't think about others when asking about their problem, because if I'm honest with you, I personally don't care about others who may have this issue; I care about me and my issue and I'd like it addressed. To be frank, their mentality is okay; they can ask a question and get their answer and go about their business. Unless we are truly subject matter experts on something, we cannot ask a question which will encompass a future audience. We want Stack Overflow to be a repository of knowledge. We (the people around here on Meta) should make this possible by ensuring that only relevant, actually useful questions makes it to the top. Demanding that askers do this for us is both not going to work, and isn't going to change our role in moderating these kinds of questions. These things are already being done. New users are provided lots of information, links to the help center, etc. to explain how to ask an appropriate question, and how this site is different from other sites. The problem is that new users ignore this information, not that it isn't presented to them. Aren't aware/lazy/selfish...definitely part of the issue. Another part of the issue is education - new programmers (young programmers? more so?) that don't know how to ask questions, don't know how to apply dupes to their code/situation, on their machine, especially if they've tried and been unable to make it work. The real need is for some mentoring/tutoring/guidance. As stated an ad nauseum in meta, that's not what SO is for, and fair enough. It's still attractive for people because they see a bunch of people asking questions, and getting help and answers, and they think "great, I can get help answers too". Nigh-instant feedback encourages this. There's also probably a small effect (which I remember feeling) of wanting to "be a part" of the site by asking/answering questions. There's also a parallel problem in that SO users desire increased rep, and can get it by answering questions, as well as desiring to help others, especially new programmers. This competes with the goal of keeping SO free of dupe/junk questions. The content of this could very closely follow the How to ask guidelines from the help center. 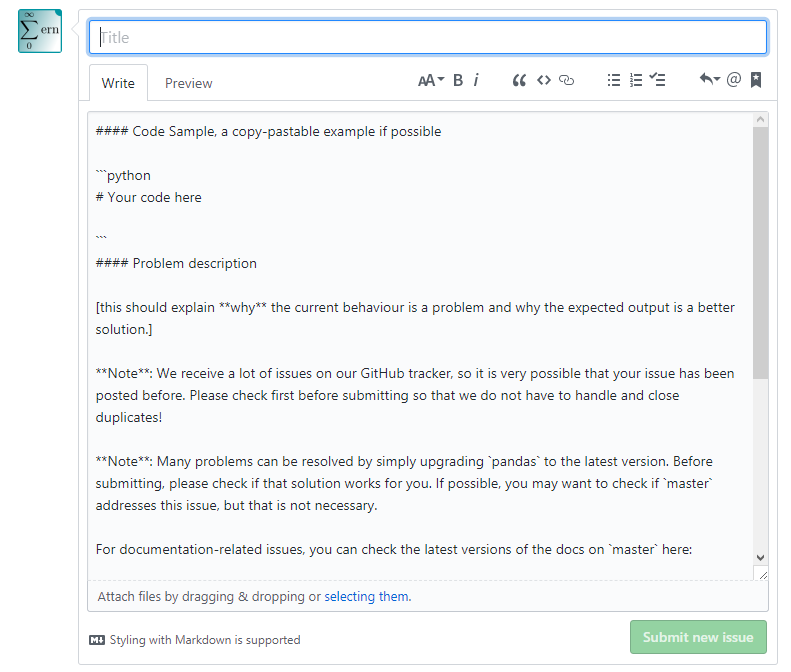 The advantage of this is that people need to actively delete the section that states things like "Type introductory paragraph here" or "Provide the results of your (re)search here" or "Post the mcve of the code you have a problem with here". So by deliberately deleting this content they would already know that their question might not be according to the rules and hopefully decide to still include that part. I think the problem is not that we don't have the info provided, it's that it is ignored. I would like to see us put a higher barrier on asking questions whether that be higher rep or complete more tutorials. I prefer the idea of a review queue. I think that low rep users should have their questions reviewed and approved before they are made public. During this review period, experienced users should instruct them on where their question falls short of guidelines... clear problem statement, show your work, properly format code, post error messages and other relevant info, etc. If the question is an obvious duplicate, it's identified during the review and it never gets to the site. Once all the necessary changes are made, info added, etc. then the question is approved and becomes public. Once people understand that there is a quality bar that must be met before a question can be answered, they will be more likely to pay attention to the rules and make the desired changes. Users that allow bad questions through the review system should be flagged. Enough flags and you can't participate in the review system for some period of time, etc. Another issue is that bad questions are answered before they are fixed. People will guess at what OP is asking and give an answer with 4 different methods that might work. One of them might actually work and an answer is accepted. Now we have a bad question and a bunch of overly generic answers... neither of which are useful. We're teaching people that you don't have to put in the effort to write a good question because it's going to get answered anyway. Putting a review system in place prevents a lot of these bad questions getting answers. Only a small percentage of questions are actually going to be good and useful to future readers. You can try to increase that number with your suggestion or the mentorship program or in some other way. I believe that no matter what you do it will always be small compared to the total amount of questions. This is not such a big problem, in order to create a Q&A repository questions need to be asked (duh...) and it's not really important if it's 1 good question in 20 or 3/20 the real problem is that almost nothing is done to improve the quality of the content that stays here after the question is posted, many suggestions are constantly brought up and nobody cares and nothing is done. The community always responds in the classic SO way: "If bad questions will not be posted all the other problems won't exist" never mind that it's an unsolvable problem and in fact if it will be solved and everybody will follow https://meta.stackoverflow.com/a/261593/1398418 SO will die. What's the purpose of closing questions? Is Stack Overflow controlled by an old guard that puts off new users from contributing? Why do we punish harsh comments and not lazy questions? How to review answers from new users that add no information?